REDUCED $20,000 - JUST IN TIME FOR THE HOLIDAYS!! SELLERS ARE MOTIVATED!! 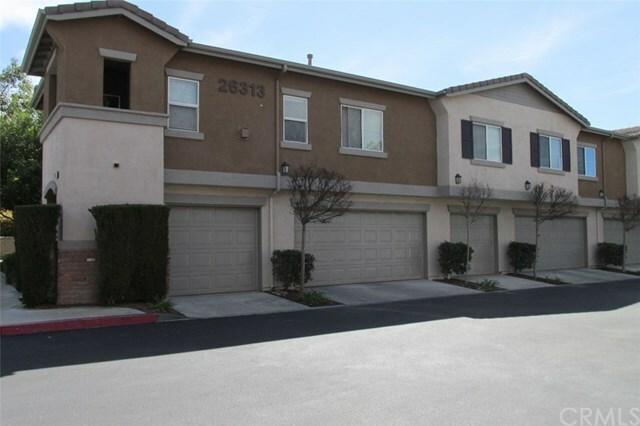 Lovely 3 bedroom, 2.5 bathroom townhome in the heart of Murrieta. WOOD AND CERAMIC TILE FLOORS throughout the downstairs. Separate Living, Dining, and Family rooms are great for entertaining. GAS FIREPLACE in the Living Room. Eat-in kitchen includes plenty of counter space, island, stainless steel range, microwave, and dishwasher. CUSTOM KITCHEN CABINETS with distressed wood fascia. Three spacious bedrooms on the second floor include the master and separate jack-and-jill. Third floor has a loft/office/4th bedroom with peek-a-boo views to the west. Storage or playroom under the stairs!! TWO CAR ATTACHED GARAGE. Backyard is great for BBQ's. GATED COMMUNITY. POOL AND COMMUNITY CENTER IS LESS THAN ONE BLOCK FROM THE FRONT DOOR. SO MUCH HOME FOR THE MONEY!!!! Please click on the VIRTUAL TOUR BUTTONS for multiple photos! !